Reigning World Boxing Council (WBC) Super Bantamweight champion Fatuma Zarika defends her title defense against Zambian Catherin Phiri at the KICC on Saturday. “I will not talk much, The game is in the ring. 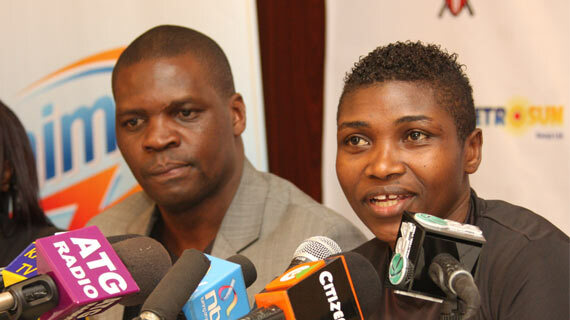 I am ready and my fans should come out and expect victory.” Those are the words of reigning World Boxing Council (WBC) Super Bantamweight champion Fatuma Zarika ahead of her title defense against Zambian Catherin Phiri at the KICC on Saturday. Zarika will be defending her title for the second consecutive time after florring Mexican Yemelith Mercado last September. This will be the second time she is facing off with Phiri, having beaten her in December 2017 via a unanimous judging decision. The SportPesa-sponsored pugilist has been putting up a three week camp in the United Kingdom ahead of this fight and she believes she is in very good form. “I have managed to improve my speed and footwork and I believe I will be better than how I was the first time we played against each other. Training in Liverpool has been of positive effect to me and I feel great ahead of this fight,” Zarika said. Phiri who is still reeling from her loss to Zarika two years ago says she is ready for revenge and has vowed to sting to victory on Saturday night. “Last time I said it would be fore to fire... this time, it will be nuclear to nuclear. I have prepared well for this fight and I want to tell the fans to come early. If they are late, they might miss the fight,” Phiri said. The fight will be attended by former WBO cruiserweight champion, Englishman Tony Bellew who has been Zarika’s mentor during her training in Liverpool.